RAUTAHAT, Jan 5: As the freezing cold has started gripping the country, nine deaths have been reported from various tarai districts in the last one week. In Saptari, cold wave claimed six lives within a week. 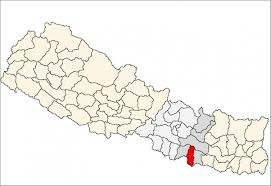 On Friday, Sukdev Yadav of Mahadeva Rural Municipality-2 died due to freezing temperature. Just a day before, Kailedevi Khanga, 65, of Rajbiraj Municipality ward-10 and Najo Begam, 60, of ward-2 had died of cold, informed Arun Yadav, chief of ward-2. Earlier, Ram Dayal Rai, 35, of Chinnamsta Rural Municipality-1, Warahi; Kuldeep Ray, 36, and Rajiya Devi Ray, 72, of Birpur had lost their lives due to the freezing cold. Dr Ranjit Kumar Jha, senior consultant at Gajendra Narayan Singh Sagarmatha Zonal Hospital said the unbearable cold could be the most probable reason for all of these deaths. Similarly, in Rauthat, cold claimed three lives in a week. On Friday, two people from Rautahat lost their lives due to cold. The deceased have been identified as Ayodhee Ray Yadav, 75, of Rajdevi Municipality-7, Mudbalwa and a labor working at a brick factory of Gadhimai Municipality ward-1, Samanpur. According to police, Mohammad Ali, 55, of Ramwan in Sarlahi died after being unable to bear the chilling cold. With this, the number of people dying of cold has jumped to three in Rautahat. Last week, Maharjan Thakur, 55, of Gadhimai Municipality ward-4 died due to extreme cold. Dipping temperature since the last few days has thrown normal lives out of gear, informed SP Yagya Binod Pokharel, chief of Rautahat Police. As the cold has started taking toll on normal lives, the number of service seekers in government offices has reduced significantly. Students started missing school due to biting cold since a few days. Government schools then announced winter vacation much to the respite of the students. In fact, schools have extended the vacation for a longer period keeping in view the health of students, informed District Education Officer of Rautahat Binaya Kumar Singh. But some private schools have not announced vacations due to competition with rival schools. According to Rakesh Yadav of Gaur, such boarding schools are neglecting the health and life of children by doing so. This has drawn a lot of criticism from the locals. The dipping temperature due to westerly winds has confined locals to their homes. Bonfire has been a great medium for people to escape cold at their workplaces. District education offices of all the tarai districts are planning to resume schools only after the weather condition improves. Caption: Locals basking around fire in Rautahat.